Your Zwift ID can be found in the desktop version of Zwift by going to Documents->Zwift->CP. The folder names here (eg, “user123456” use the ID’s of every Zwifter who has ever used your computer. If you see multiple folders and are unsure which one belongs to your account, look at the dates of the files inside the folder, which will correspond to dates you have used Zwift on this computer. Scroll to the bottom until you see the ZwiftPower icon and click to Opt-In. All done! It’s also part of the URL for downloading past rides. Just checked this great tip (which I’ve used before) and the zwift ID is no longer available via iOS. I found out in safari you need to type: https://my.zwift.com, but than step 2 is unclear to me. If I scroll down all the way I see no “Connect to your account” or Today’s Plan. I signed up For Academy, than there is todays plan, but when connect window opens… no number included. Should I open Zwift on my iOS also to see it? Here’s a novel concept, put the Zwift ID somewhere in your profile regardless of what platform you’re on so you don’t have to jump through hoops to find it. how do ATV users find this code? Vraiment NUL pour s’identifier sur Zwift : pire qu’une banque sécurisée ! 2. Once signed in, hold down — at the same time (or right click on the page and select inspect). This should open the Developer Tools Chrome Tab (DTCT). 3. Select Network from the menu at the top of the DTCT. 4. On the Zwift Tab, Select Settings and then click SAVE to save your profile. You should notice network traffic appearing on the DTCT. Look for the first two messages triggered when you hit save. These should both list your Zwift Id. Click on one of them and you should see it provides you with a Requested URL (E.g. 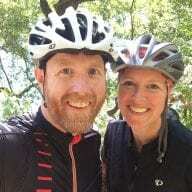 https://us-or-rly101.zwift.com/api/profiles/me/XXXXX) where XXXXX is your Zwift Id. Which os my Zwift id ? I’ve added this info to the post. Thanks, Paul! I also have 6 number code. You already have an answer for this? 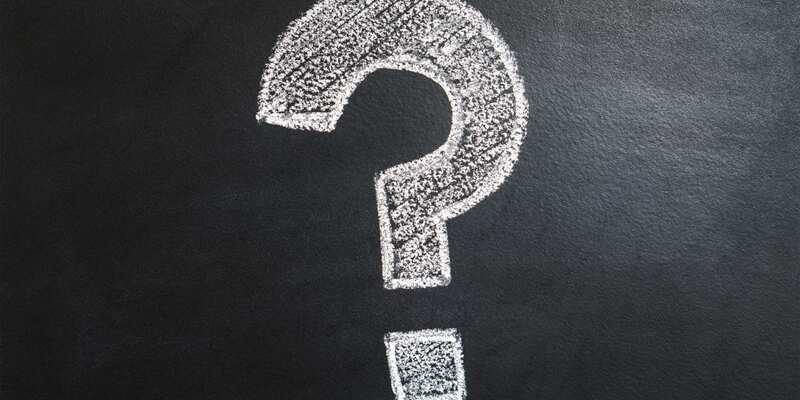 did you get a answer? No didnt get an answer yet..
Hi…I’m really struggling to find my ZWIFT ID which i need to hook up to ZWIFT POWER and start racing. Please help? i’ve found that number BUT then it’s not being recognised on ZWIFT POWER connection page!? Andrew, I have the same problem, unfortunately no one to contact to sort the problem out. I have a question and I could not find the answer in the Zwift Power forum. I signed up there and tried to register my Zwift ID (found it in the folder). But somehow Zwift Power gives me the following message every time: “Cannot find rider with that Zwift ID.”. I know I entered the correct ID. Is there a trick to it? Hi, I have been trying all the methods above to complete my connection (link my zwift account) to no avail. Nothing seems to work. ZwiftPower does not know my zwift account works and I been on zwift for over a year. Any help would be much appreciated. Luke, I had the same problem. They left out a step. On Zwift, you have to go into account settings and then connections, and then opt-in to Zwift-power. Until you do that, Zwift power will not recognize you. Hope that helps! Same issues as Luke here. Been on Zwift Power for over a year and it doesn’t recognize me even after I put in my ID#. I tried what you suggested but I don’t see Zwift Power as a connection option in the Zwift companion app. It’s not in the companion up, it’s on my.zwift.com. That’s where you connect Zwift to Zwift Power. Have you had any luck? I’m having the same issues even though I’ve been a member for a year. I’m told to “update your Zwift ID on the connection page to complete registration” but it doesn’t recognize my 6 digit ID number which I need to get a different 4 digit number. This is all very exhausting. 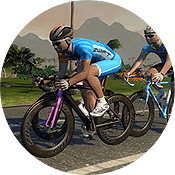 Scroll to the bottom until you see – Zwift Power icon and the words – Consent to sharing your activity results and activity history including detailed performance data, race performance and profile information on the ZwiftPower site. It will then take you back into zwift power and ask you to update your surname by adding a 4 digit code (use the companion app for this). Solution from S Hart did the trick! Great advice, worked for me, thanks Paul. Thank you. This is the fastest and secure method. I found my 6 digit ID code, but Zwift Power site didn’t find me and didn’t generate a 4 digit code to allow me to connect. How do I fix this? I don’t know what I did wrong. Please advise. Thank you. found out a step was missing…got it now… except it doesn’t have much in the way of recorded events and I’ve done many. btw if anyone still can’t find their Zwift id on IOS, log-in using Firefox and hover over the download arrows in your profile. Your Zwift ID will appear in very small type in the bottom left corner of the screen (after prod/). Once you have your ID (mine was six digits) you can input it on Zwift Power, which generates a four digit code. You then need to add your four digit code to the end of your surname in your regular Zwift profile and, after a minute, connect via Zwift Power. Once the sites have linked, you can remove the four digit code from your surname on your regular Zwift profile. Ultimately, it does work! I found my ID by doing the “hover over download”. However, I still could not generate the 4 digit code until I found this reference. Perhaps you should add this step up at the top? Thanks! impossible to register my swift id to get a 4 digit number for register. it says cannot find rider with that Zwift id. I have enabled opt in on Zwift Any suggestions?